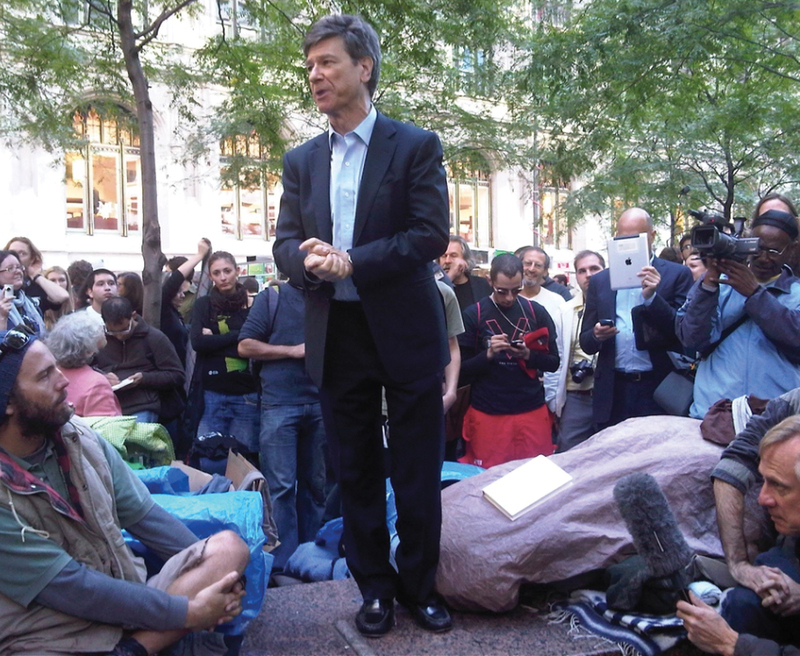 Jeffrey Sachs grew up in Oak Park, then made his mark as an economist and director of Columbia University’s Center for Sustainable Development in New York City. 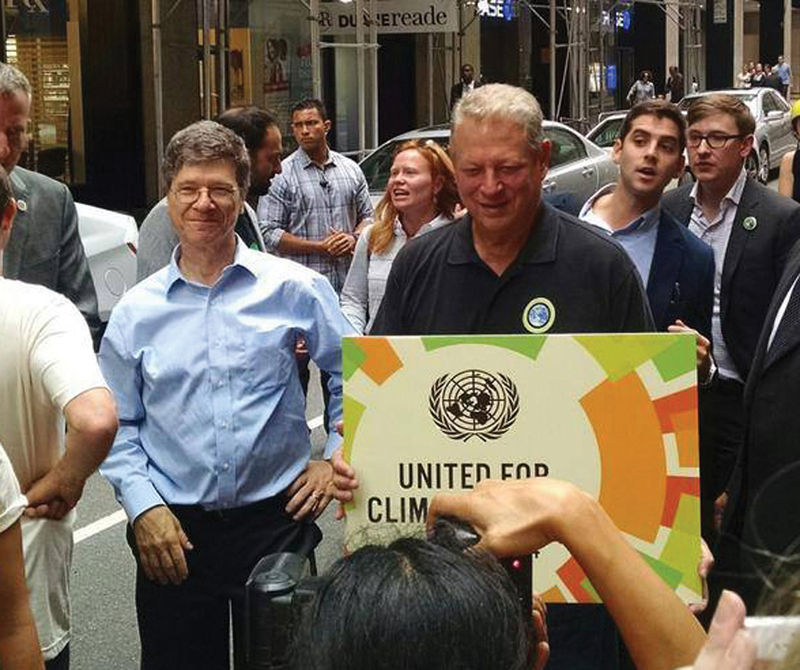 Jeffrey Sachs, an economist and director of the Center for Sustainable Development at Columbia University in New York City, can’t say exactly at what point he realized had a knack for numbers. But then he’s reminded of a long-ago math competition at Robert Frost Junior High School in his hometown of Oak Park, designed for students who were regarded as “gifted kids.” Sachs won it hands down, and his reward was being able to attend a summer camp at Oakland University in Auburn Hills, where he took a course in what was described as college-level math. 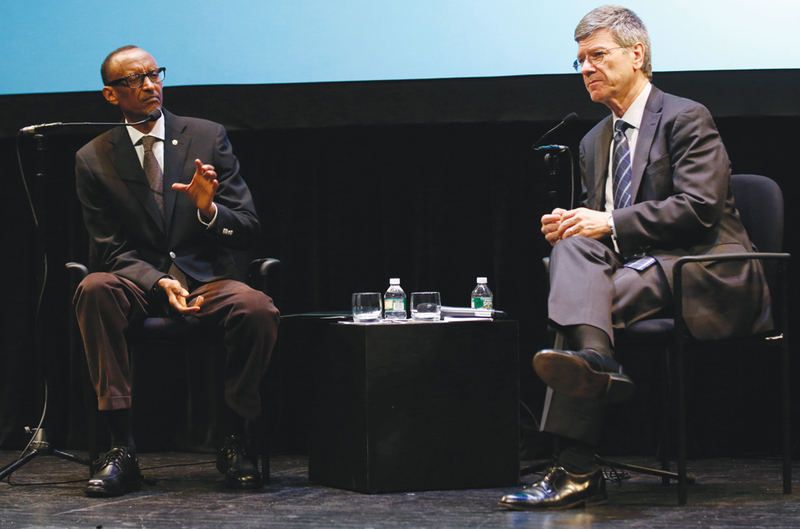 As the director of the Center for Sustainable Development at Columbia University in New York City, Oak Park-native Jeffrey Sachs has traveled to more than 125 countries over the course of his career. His mission is to improve the standard of living in Africa, Latin America, and Asia by fighting poverty, advancing health care, and promoting environmental sustainability. While Sachs seemed destined for an academic career, his father’s influence loomed large: Theodore Sachs was a legendary figure in Detroit, serving as general counsel for the Michigan AFL-CIO, as well as for the state Democratic Party. He argued cases before the United States Supreme Court, and was a noted advocate for the rights of union workers. He was accepted to the prestigious school when he was 17 years old. Joined by Ballmer, Sachs fully intended to meet the wishes of his family and become a lawyer. That never happened. “But I got admitted to law school, so that was good,” Sachs laughs. Instead, he went on to earn a master’s degree and a Ph.D. in economics, joined the Harvard faculty as an assistant professor, and by 1983 became a full professor of economics with tenure. He was 28. For the next 20 years at Harvard, Sachs earned a reputation as one of the world’s leading experts on economic development and growth, prescribing a regimen of economic reforms for countries in Latin America, Eastern Europe, the former Soviet Union, and Asia — many of which were emerging from communism. 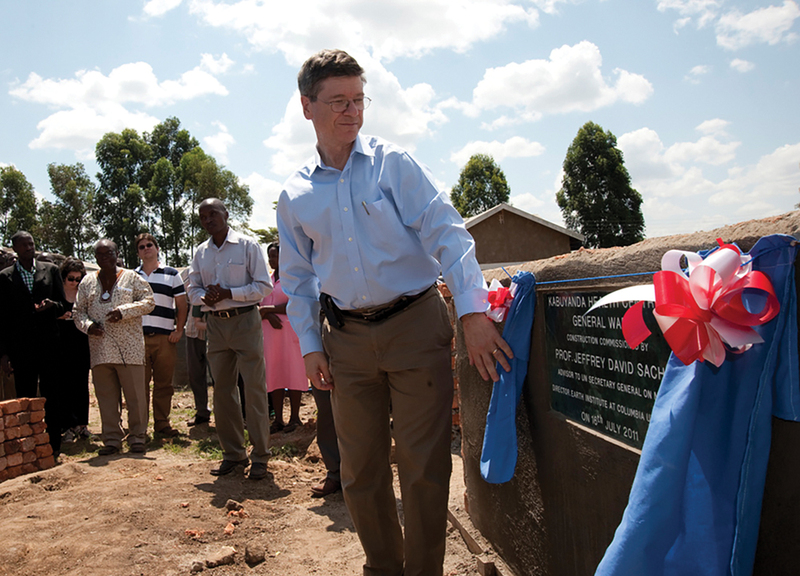 In turn, starting in the mid-1990s, he made a heartfelt commitment to fight poverty in Africa. “As I became a professional development economist, the same basic question kept coming up,” Sachs says. “Why is there poverty in the midst of plenty? Everything one learns as an economist teaches you, basically, that we’re in a position to see the absolute end of extreme poverty in a short period of time if we wanted to do so and made the effort to do so. 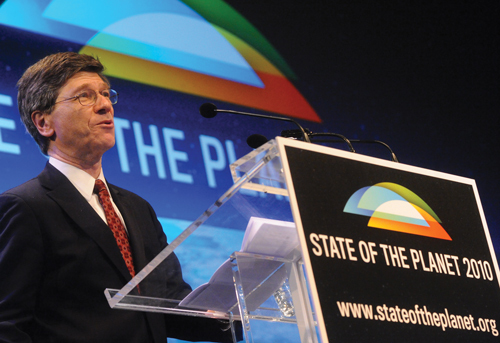 In 2002, Sachs moved from Harvard to Columbia University to serve as the director of the Earth Institute, which brings together some 850 full-time professionals across many disciplines. From scientists to experts in economics, public health, and law, the collective group collaborates to solve the problem of global sustainability — or, in more simple terms, they figure out how to provide productive and fulfilling lives for the planet’s more than 7 billion people without destroying the ecological system. 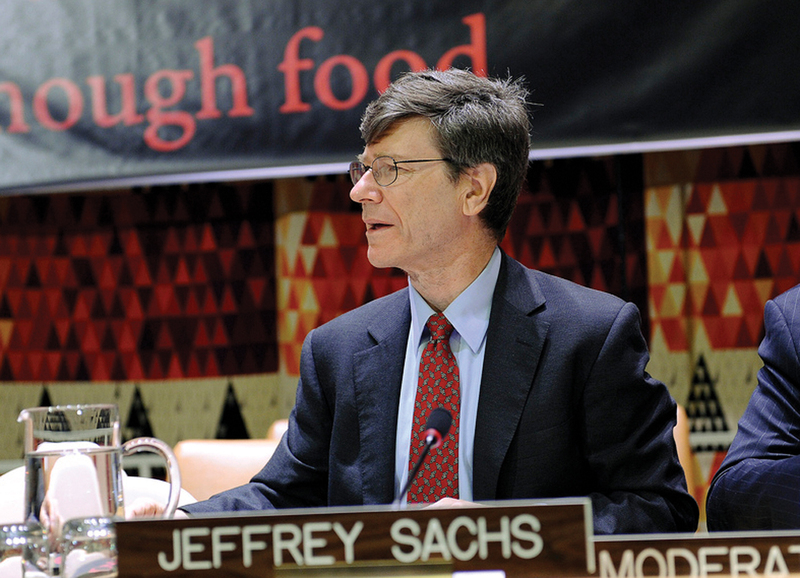 The 63-year-old Sachs, who also serves as a senior adviser to the United Nations, has authored and edited numerous books, including three New York Times bestsellers, while his monthly columns appear in newspapers around the world. His fight against world poverty has enabled him to travel to more than 125 countries, and he vividly remembers when he first caught the travel bug — on a trip to the Soviet Union with his family when he was in the 10th grade. 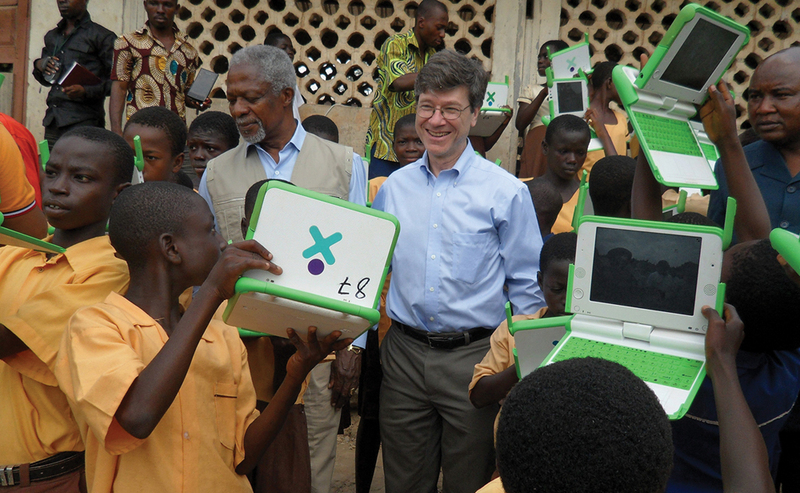 A senior advisor to the United Nations, Sachs has helped to bring water to villages in Africa, above, spoken before the Occupy Wall Street participants, helped to highlight climate change with Al Gore, and provided learning tablets to African students. Throughout his career, Sachs says he has stayed abreast of metro Detroit, including the rebirth of the central business district being led by Dan Gilbert, founder and chairman of Quicken Loans Inc., the Ilitch family, the Ford family, Mayor Mike Duggan, and many other business and civic leaders. Sachs’ insatiable curiosity about the workings of the world at large is especially honed in on all that’s happening in his hometown. Make no mistake, even though he left his home city as a teenager, Sachs is very proud to call himself a Detroiter, and he bristles at the notion he is anything but. In fact, he follows the city’s progress readily through media accounts. Sachs briefly pauses, then presses ahead, his voice rising an octave or two: “And I say, ‘Oh yeah? You don’t know.’ But I know these neighborhoods. These are my neighborhoods. And it’s not a huge mystery. Understanding Michigan is crucial for me for understanding anything I’m doing. And understanding Detroit and all of its history, and what happened when I was growing up, and what’s happened since.